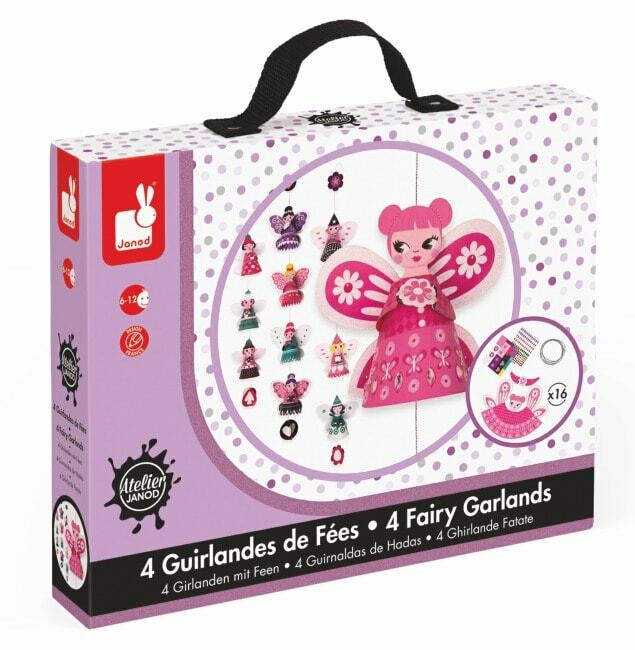 The Janod Fairy Garlands set contains everything you need to make 4 beautiful fairy garlands - a great addition to a little girls bedroom. This lovely hands-on activity will delight children, who will love decorating their room with their own creations! The set contains: 16 paper dolls, 8 paper balls, card with 40 stickers, 145 coloured stones and 4 Silver Cords all contained in a lovely card box with fabric carry handle.